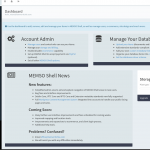 New MEMSO Shell projects underway! Home » Blog » New MEMSO Shell projects underway! 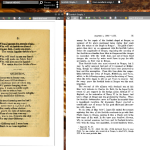 TannerRitchie Publishing’s new Digital Curation and Publishing Platform, ‘MEMSO Shell‘ launched in September and is already attracting plenty of attention from historians, librarians, archivists and curators around the world. We are excited to announce that we are working closely with several groups in North America and Europe to ensure that MEMSO Shell continues to be on the cutting edge technologically and has the features that archivists, curators and librarians want in a digital curation platform. But MEMSO Shell isn’t just for large institutions. Since the launch we have discovered that individuals are using MEMSO Shell as a convenient and affordable way to store, organize and use their personal library and private collections of scanned documents, PDFs and images. Needless to say, we are incredibly excited about the favourable response of MEMSO Shell and are extremely grateful for all your feedback. Thank you! TannerRitchie prides itself on listening to the needs of our clients in order to make our products better for everybody. Based on your suggestions, MEMSO Shell will soon have a geolocation capability for all records (placing your records on a dynamically created map), and additional categorization and metadata tools.